2. What are major ignored facts? - Claim: Nearly all sedimentary strata or megasequences formed in megatsunamis. - Berthault's experiments apparently show that curved strata in basins form rapidly by sorting according to grain size etc. - Since they are deposited simultaneously in a megasequence they form curved strata in basins. 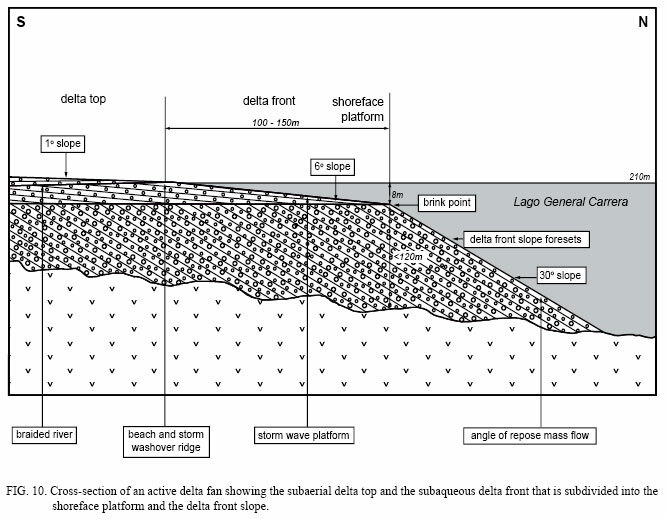 - The curves of the strata nearly follow the curves of each basin surface, except that each stratum is a bit thicker at the bottom than on the sides, like this: http://www.fortunebay.org/wp-content/uploads/2016/03/michiganbasin-cross-big.jpg. 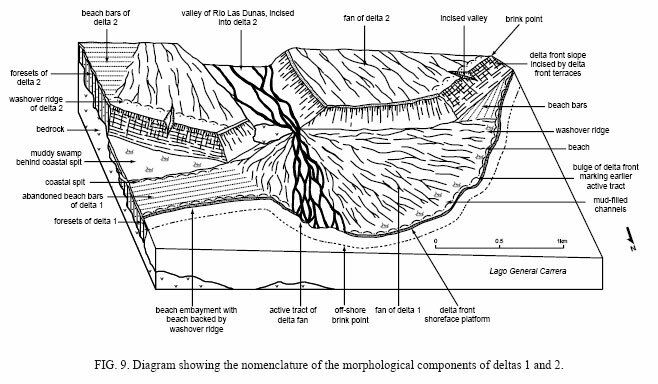 - If strata formed in continental shallow seas, they should have formed at river deltas as sloped fans, like this http://www.scielo.cl/fbpe/img/andgeol/v36n1/fig05-10.jpg and http://www.scielo.cl/fbpe/img/andgeol/v36n1/fig05-09.jpg. 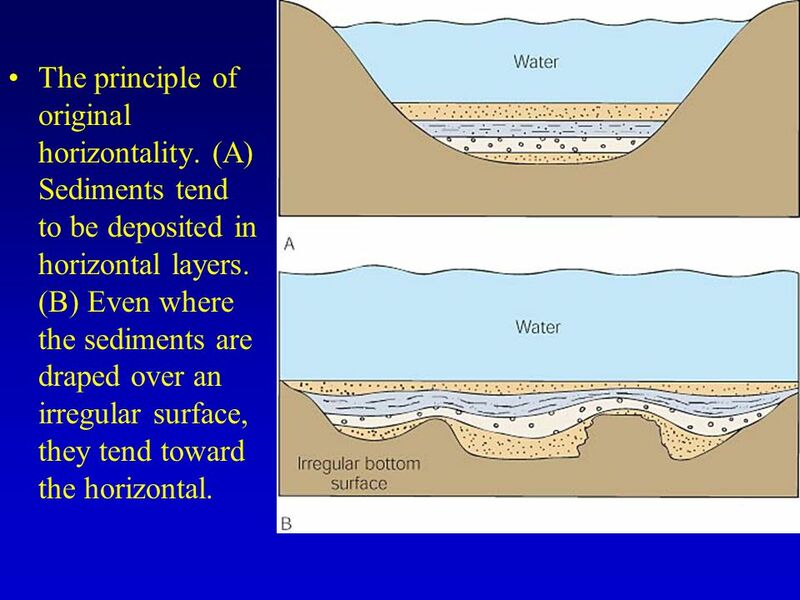 - Or if frequent tremors or tides or something caused the sediments to spread out across the floor of a shallow sea, the sediments should go to the bottom as flat layers, like this http://images.slideplayer.com/5/1507022/slides/slide_12.jpg. <MF>and water solutions carry the cement.